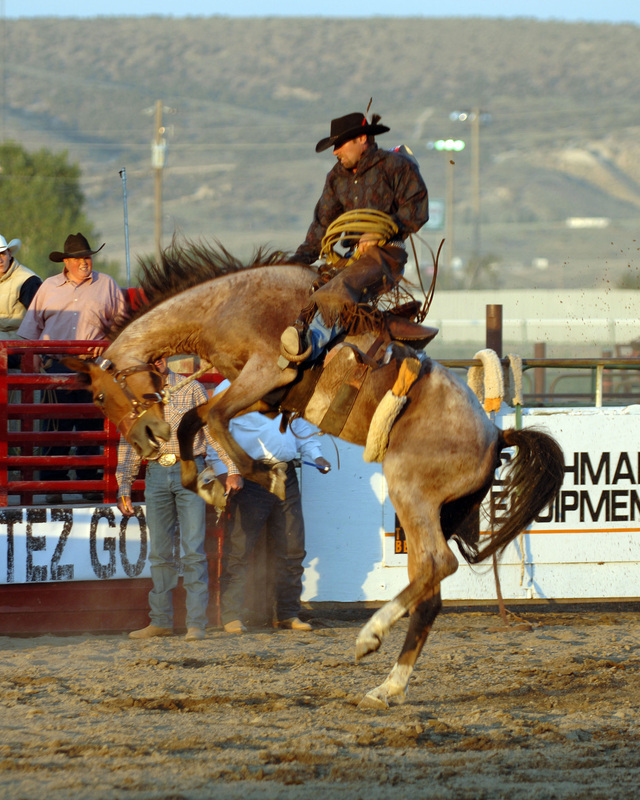 Wally Blossom furnishes bucking horses for ranch rodeos, stock-saddle bronc ridings, and horse ropings in Oregon, Utah, Idaho, and Nevada. 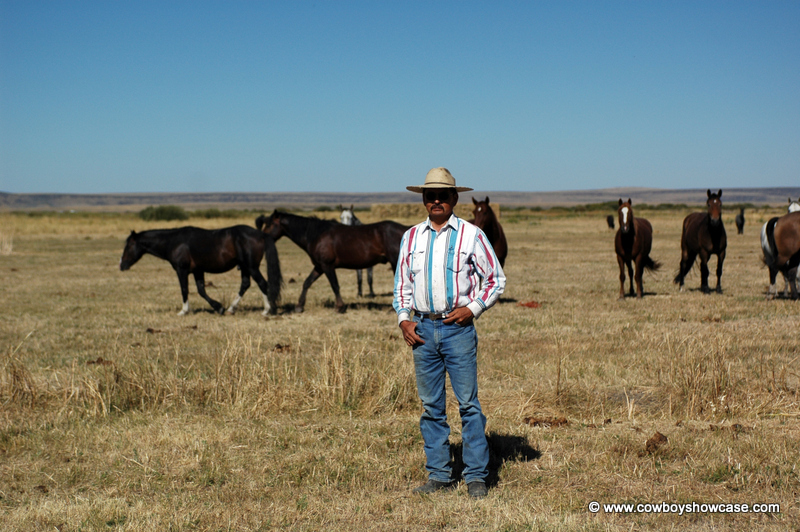 He runs his operation from his ranch on the Shoshone-Paiute Duck Valley Indian Reservation, near the town of Owyhee 100 miles north of Elko, Nevada, on the Nevada/Idaho border.Wally was born and raised on this reservation and has been around horses and cattle all his life. Beginning when he was 13, he hired on during the summers as a buckaroo on the vast Petan YP ranch, a big “wagon outfit” in northwestern Elko County, Nevada. Gerry Chapin was cowboss at the YP when Wally went to work there. Gerry says about Wally, “Wally was good help. He worked for me several summers on the YP Wagon. I always liked Wally. During branding he became a good roper.” Coming from the cowboss, that is a big compliment. Wally returned to high school after his buckaroo wagon jobs and graduated. 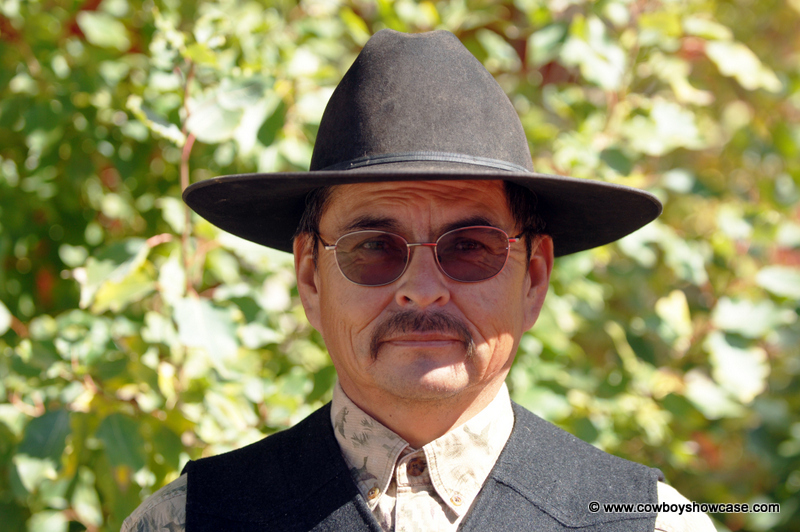 He started training and selling roping horses. Wally bought colts in the spring, worked with them during the summer, and sold or traded them off in the fall. During this time, Wally always entered the Big Loop Horse Roping Contest at the rodeo in Jordan Valley, Oregon each spring. 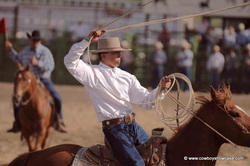 In 1996, he and Nathan Kelly, another great Duck Valley Reservation Indian roper, won the coveted Big Loop trophy saddles given to the two-person team that had the fastest time in the horse roping. Wally began to travel off the reservation looking for a riding job. He hired on to ride horses at the Horseshoe Ranch near Beowawe, Nevada. He then hooked up with Pat O’Malley, who had an amateur rodeo outfit in Bruneau, Idaho and picked up at rodeos with Pat for several years. 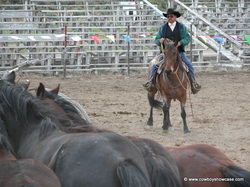 Wally then traveled to Ellensburg, Washington and started picking up at PRCA rodeos for the Frank Beard Rodeo Company. All this time, Wally was watching and learning the rodeo game. When he was not at a rodeo picking up, he was always buying, selling and trading horses. Wally bought a load of horses from the TS Ranch near Battle Mountain, Nevada. He kept a couple of “cranky” mares. He also purchased a mare at a sale in Idaho that came off the Diamond A Desert on the Nevada/Idaho border. He bought a stud from the Frank Beard Rodeo Company in Washington. Jay Hogan, who had an amateur rodeo outfit in Idaho, sold him another stud. Wally gave $75 for a blue-roan stud colt with Shire draft-horse breeding that came through the sale ring in Shoshone, Idaho. 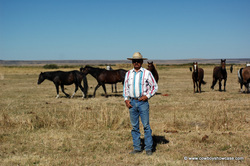 He also kept a couple of stud colts from his own horse herd. I asked Wally what he thought about the importance of mares in his bucking horse breeding program. Wally said, “ The mares are a big part in raising bucking horses, as they are in other horse events; but, about the time you think you have this bucking horse breeding program figured out, the horses will make a fool out of you. You don’t want to get too high on your bucking horses. You just never know for sure what these horses are going to do, from rodeo to rodeo.” This perhaps was as honest an answer as I have ever heard about breeding bucking horses! Wally now runs seven outside stud bands on the Indian reservation. 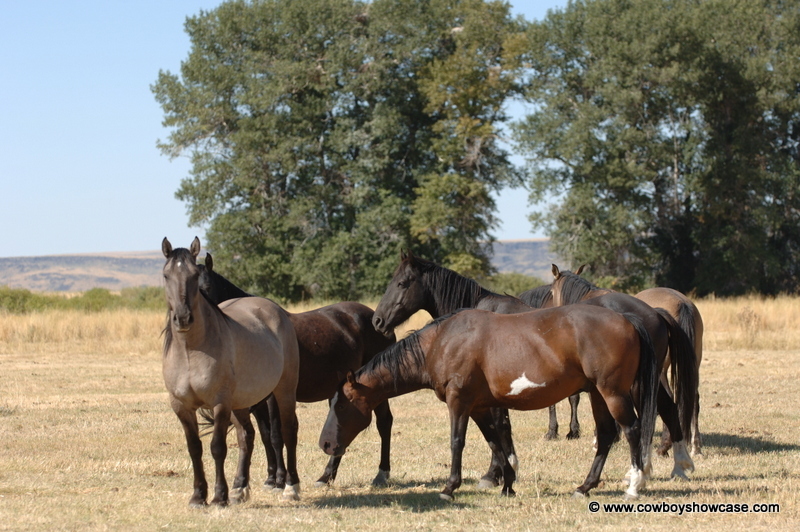 A stud horse is placed with 14 to 20 mares depending upon the age of the stud and the feed conditions. 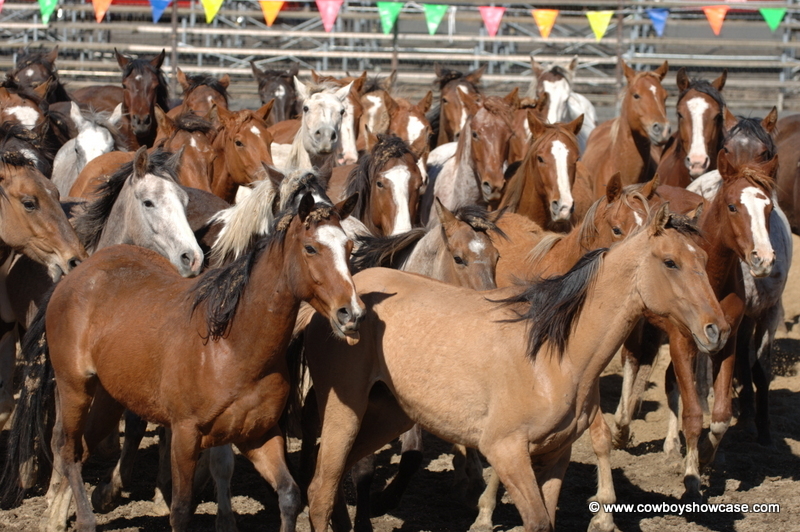 These horses range in a big country on the reservation, much like wild horses. 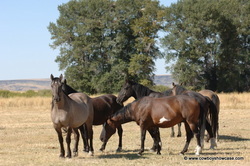 The mares and their colts travel a long way to water in some areas and the colts learn how to travel in rough country. This is a big part of what makes these horses so tough and athletic when it comes time for them to compete in rodeos. 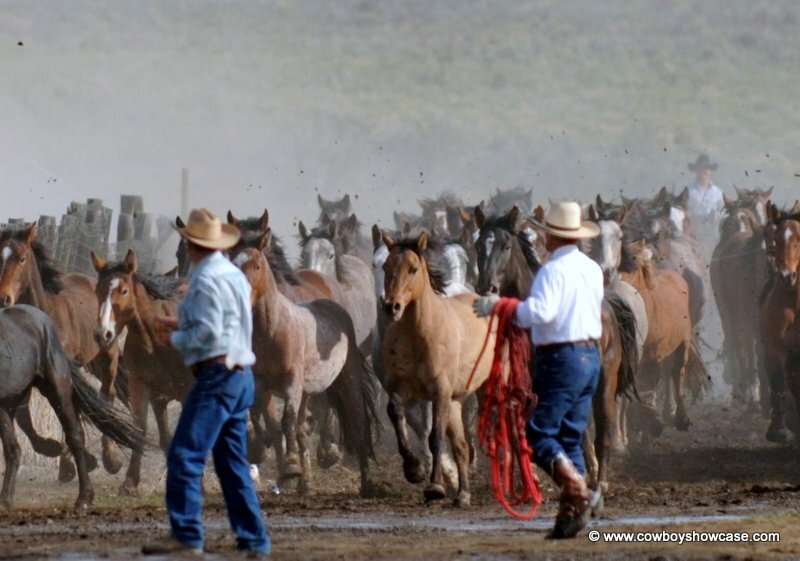 When the stud bands are gathered in early summer and corralled by Wally and his crew on horseback, the stud colts are roped, stretched out, castrated, and branded. Wally hot iron brands his horses with a quarter circle J D on the left stifle. 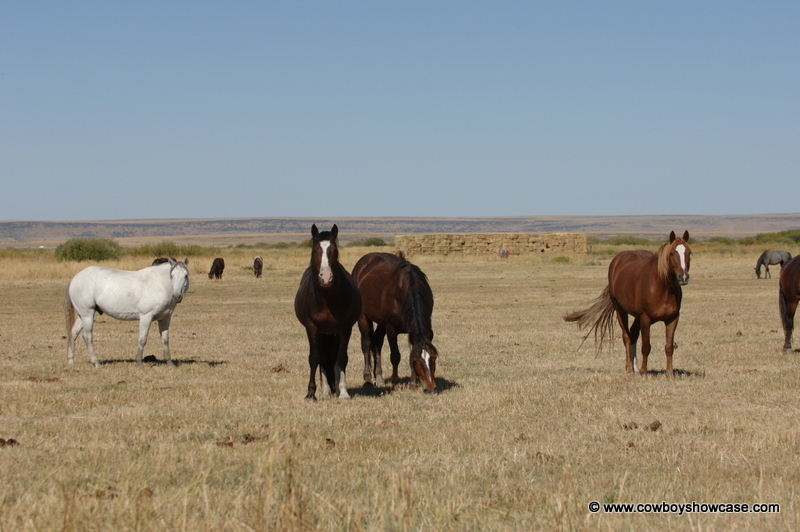 Livestock on the reservation, both horses and cattle, is run “in common” with very few fences, so these horses need to be branded to prove Wally’s ownership. Wally’s bucking-horse stud bands winter outside most years, much like wild horses. However, every 10 years or so a hard winter will hit and a big snowstorm will blow in on the reservation and cover up the grass. Wally told this story of a hard winter a couple of years ago, “It started snowing in December and would not quit. The snow was piling up and drifting bad. The only way to get around was by snow machine. Wally puts up enough meadow hay on the reservation each summer from irrigated pastures to feed his horses in case another bad winter comes along. He will grain his bucking horses early in the spring to help them get started after a long hard winter. 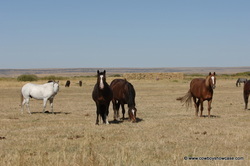 The rest of year the horses are on native grass and hay meadows. Wally says, “I don’t pamper my horses. They need to make a living outside and be real horses.” These occasional tough winters are part of reservation life and Wally says that this is the way it has always been in his country. Wally’s wife, Teola, is the Vice-Principal at the Duck Valley reservation combination school – grade school and high school. She is also a big part of the Blossom rodeo business. The Blossoms have two grown boys, Justin, who works for the Tribal Council on the Reservation and Miles, pictured on the left, who helps his Dad on the ranch and at rodeos. 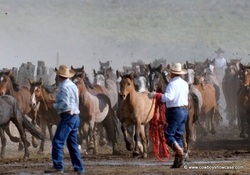 Wally and his crew gather their bucking horse stock and sort during mid-week. Most of his rodeos are weekend shows. He has a semi-truck and trailer that will haul 30 bucking horses and a couple of pickups and horse trailers. This is a family operation, with not a lot of outside help. Wally drives the semi truck and trailer. His wife and son each drive a pickup and horse trailer with saddle horses and a couple of extra bucking horses. 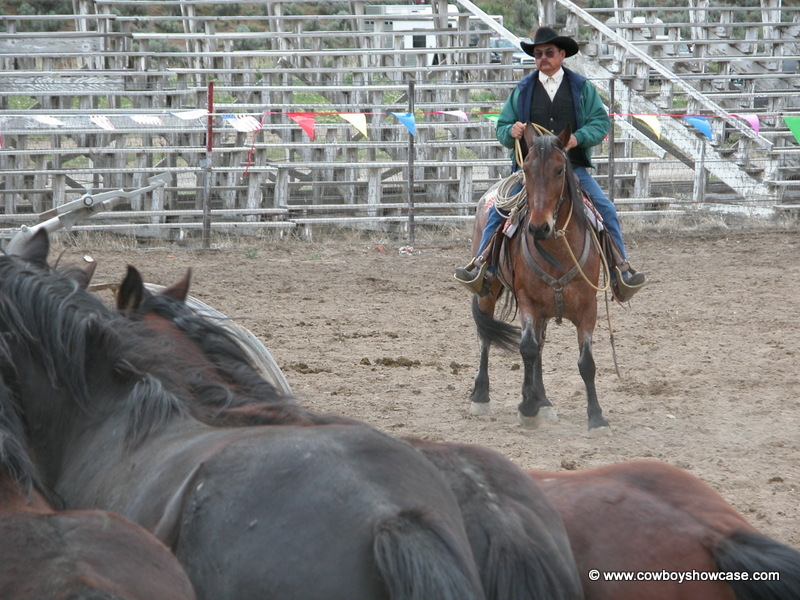 They can haul enough horses in one trip to rodeos so that they do not need to double back to the ranch for more horses. Wally usually gets a couple of the local buckaroos and his son Miles to pick up at the rodeos. Wally sorts and flanks most of the bucking horses himself. His wife helps sort the livestock, keeps records on the broncs, and handles the corral gates when they sort.